Waldlaufer Deville 358505 women's wide fitting court shoe. The upper is made from soft cobra finished leather with an elasticated front panel for ease and flexibility. This style also features the removable Waldlaufer insole that provides a little extra depth for those who need it. 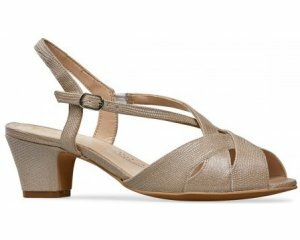 A sophisticated and practical style with a heel height of 4cm.